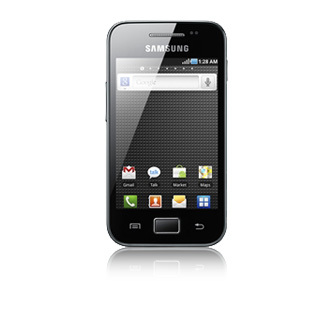 First, its price, its not that expensive yet it is packed with almost everything that a smartphone user may experience. Second, its 5MP camera with LED flash, well I hate bringing a camera wherever I go, so I preferred a phone with a good one (I know SGA camera is not that good, I have compared it with other expensive cellphone cams, it takes time to take photos (using auto focus) compared to others, and not really good in night/indoor shots). Third, its screen size, its not that big yet not that small too, in short just enough 😀 ..
Fourth, the looks, I don’t know, but I love the overall appearance of Samsung Galaxy Ace :D, the design is very simple, yet elegant. Fifth, well its Android OS, since Android is “app-centric” (IMO) I can do almost anything I want, and well, it has a huge apps available, and best of all, many are free :D.
Cannot install some large app (around 20mb), message me that I don’t have enough space (even though I still have enough space based on the data my phone gave me). For sure its because of this very small internal memory of Galaxy Ace (181 MB). You really can’t install much on your phone. After 3 years, my SGA is still alive! 🙂 very much functional though slow.. Current Operating system is Jelly Bean 4.2.2. This entry was posted in Cellphones/Telecom Networks, Personal. Bookmark the permalink. Nice one sir! Is the video good too? or like lagging? Very nice and amazing one dear. Keep sharing.